Leaf shape is an important agronomic trait of ornamental kale (Brassica oleracea L. var. acephala). In this study, we isolated a lobed-leaf DH line by microspore culture of ornamental kale. 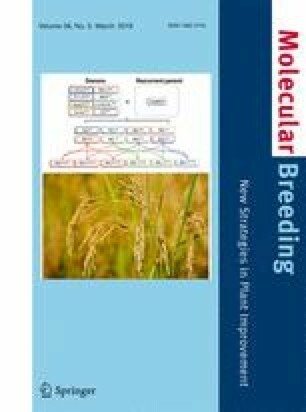 The genetic analysis indicated that the lobed-leaf trait was quantitatively inherited. By QTL-seq analysis, the candidate region for BoLl (lobed-leaf) was mapped on chromosome 9 (BRAD, Brassica oleracea, chromosome v1.0). The mapping region was confirmed and narrowed by simple sequence repeat (SSR) and insertion–deletion (Indel) markers in the F2 population; BoLl was located between the markers LYIn39 (0.17 cM) and LYIn40 (0.11 cM). According to the B. oleracea genome database (chromosome v1.0), the mapped interval (75.3 kb) contained eight genes, and seven of which were annotated in BRAD and one was not. 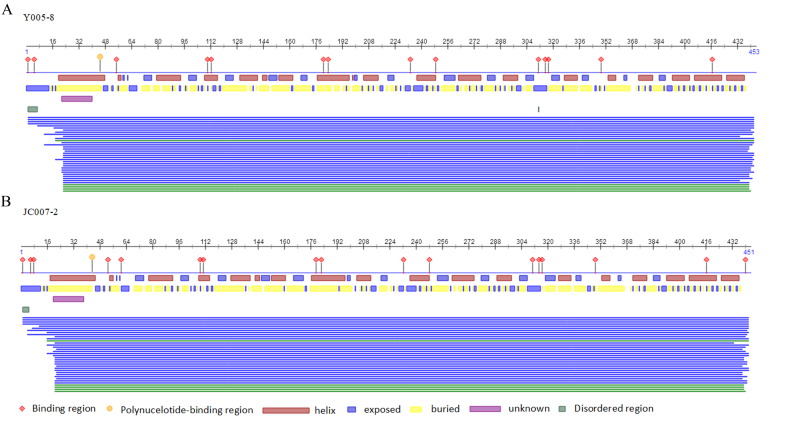 According to the other B. oleracea genome information on EnsemblPlant, the mapped interval (79.6 kb) contained 11 genes. 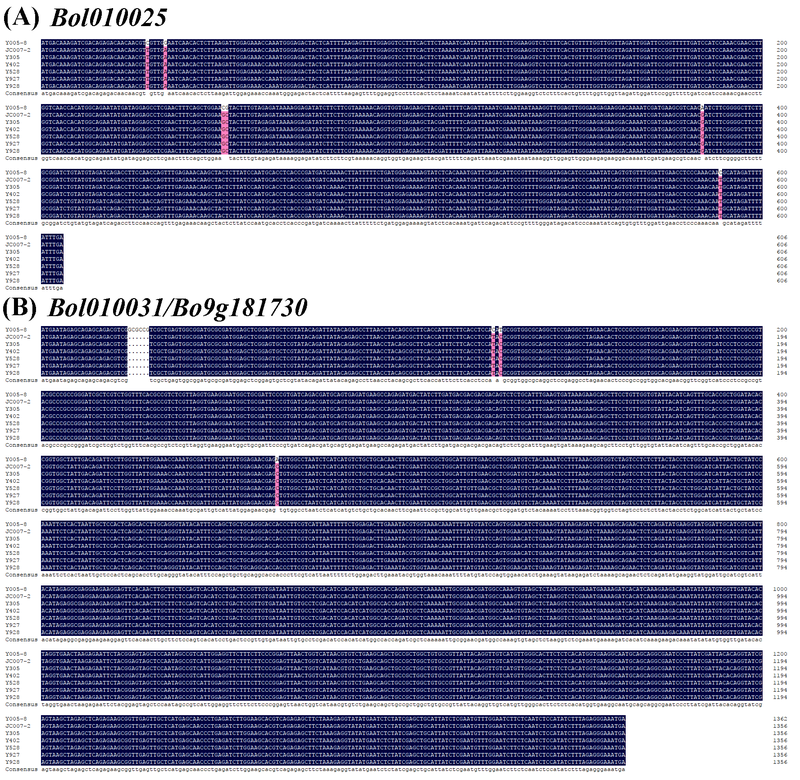 Two orthologous genes of AtLMI1/ATHB5 related to lobed leaves in Arabidopsis, Bol010029/Bo9g181710 (BRAD/EnsemblPlant) and Bol010030/Bo9g1181720, were identified as possible genes for BoLl, but the sequence analysis revealed no variation in their promoter and coding regions. The expression of Bol010029/Bo9g181710 and Bol010030/Bo9g1181720 was significantly higher in young lobed leaves than in young entire leaves. Among the other genes in the interval, only Bol010025 and Bol010031/Bo9g181730 showed co-dominance in the recombinant individuals, and their expression level was similar in lobed and entire leaves. Three hypotheses were proposed for the formation of lobed leaf. These results lay a foundation for uncovering the molecular mechanism of the lobed-leaf trait in ornamental kale. Jie Ren and Zhiyong Liu contributed equally to this work. The online version of this article ( https://doi.org/10.1007/s11032-019-0944-0) contains supplementary material, which is available to authorized users. This work was supported by the National Natural Science Foundation of China (grant number 31672144).